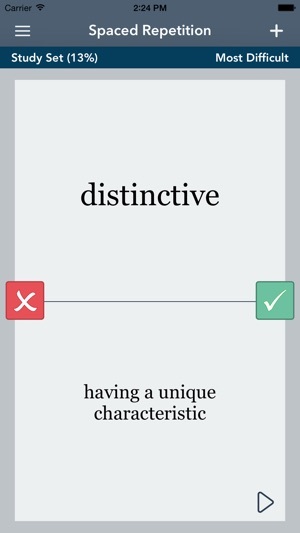 Using AccelaStudy's intuitive flashcard-like approach on your iPhone, iPod touch, and iPad, you can quickly expand your English vocabulary for graduate school exams, university entrance exams, professional advancement, or simply increased language proficiency. 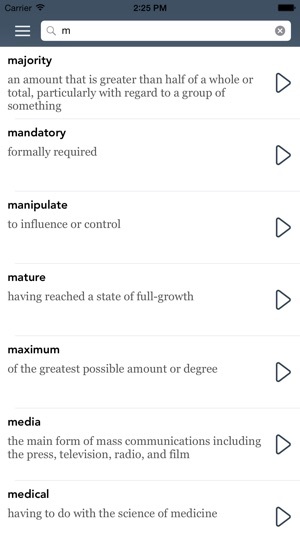 Most commonly tested vocabulary words on the TOEFL® exam are included with definitions, synonyms, and example sentences. 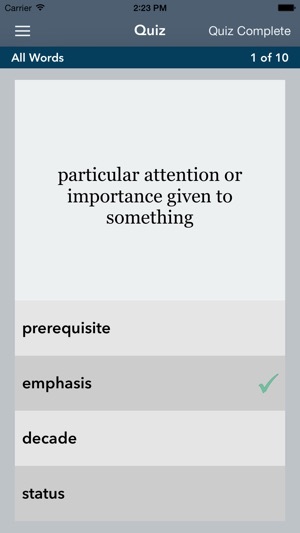 Easily learn new terms with four different ways to study, including a powerful quiz feature which helps you test your progress and a spaced repetition mode which helps you memorize words in the shortest possible time. 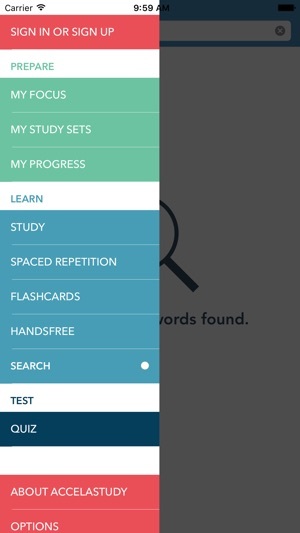 Join over 6,000,000 people worldwide who have used AccelaStudy to master new vocabulary. Please refrain from sending your bug reports or feature requests using the App Store. Instead, to ensure a direct response from us send them to support@renkara.com. You can also tweet us at http://twitter.com/renkaramedia. We’re always happy to help our users and receive their comments! TOEFL® is a registered trademark of Educational Testing Service which neither supports nor endorses this application. - Minor improvements for iOS12. - Display optimizations for new iOS devices. There are only 350 words. 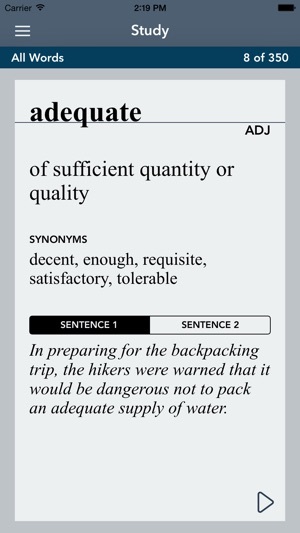 It seems to be insufficient words as long as you'd like to gain the high score in TOEFL. Hope it can be added new words in the future without extra fee. 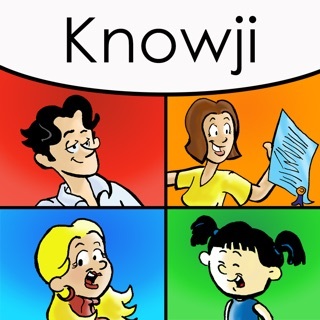 A must have apps... Really useful apps, help you achieve higher level of English proficiency...worth every penies of it! Perfect because the word and definition are accompanied by oral pronunciation just what my students have been asking for! © 2019 Renkara Media Group, Inc.